← POS stands for something, what do you stand for? So there you have it. Banter On. Mike glanced down at his comm and sighed then shoved it back and continued trying to explain the latest minutes to Ev. “Why you do dat ting, always checkin. Whatchoo lookin for?” Ev asked. “Fair, then” Mike grimaced seeing the trap as he walked into it. show me a proposal that doesn’t burn a section of the population, specifically to the point that those players might quit. The people below have done some great work on this but I think the bottom line is that change would hurt the game more than help it. Local as chat or local as intelligence tool by Raziel Walker @ One Opinion. 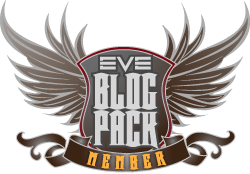 This entry was posted in Uncategorized and tagged Blog Banter, eve online, In character, Lessons, Mike. Bookmark the permalink.